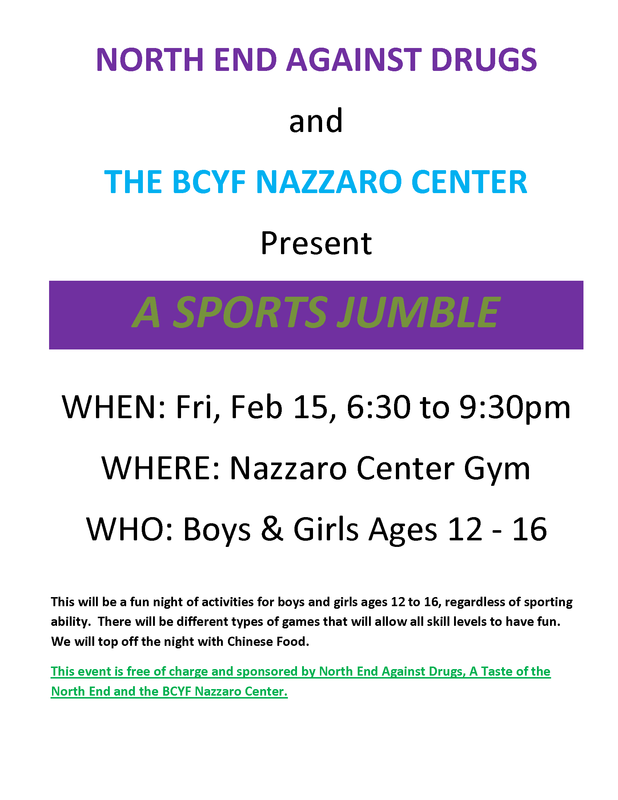 North End Against Drugs (NEAD) and the Nazzaro Center are hosting a Sports Jumble on Friday, February 15 from 6:30 p.m. – 9:30 p.m. for boys and girls ages 12 – 16. There will be two or three fun sporting games for all to play together. Doors open at 6:30 p.m. and the games will start at 7 p.m. Following the games, Chinese food will be served in the senior room. 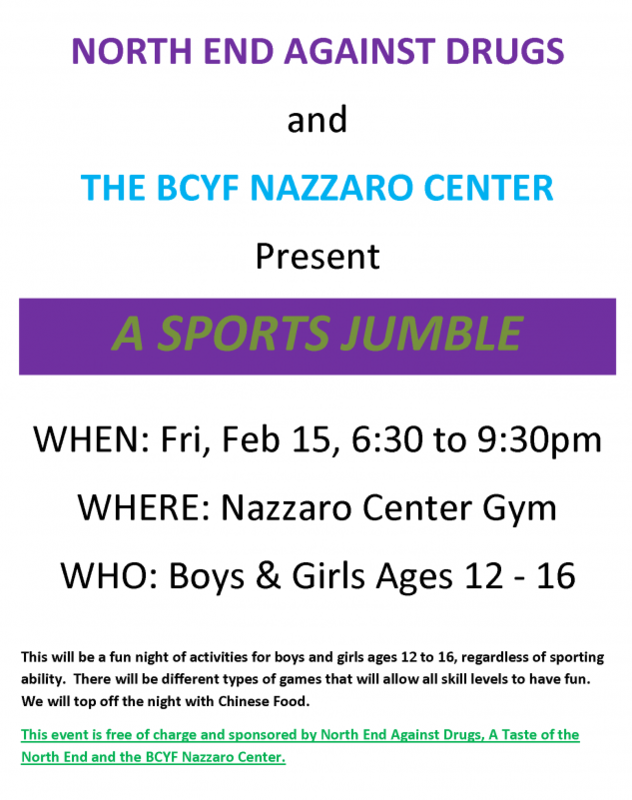 This event is free and you do not need to be a member of the Nazzaro Center to participate! See the event flyer posted below.